Chasing dreams and growing in faith with a family of four! 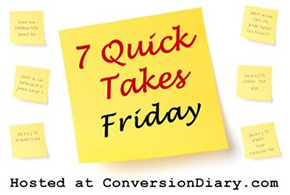 This has been a pretty full week, so much so that I have enough random stuff that I can actually link up with Jennifer and crew at Conversion Diary. 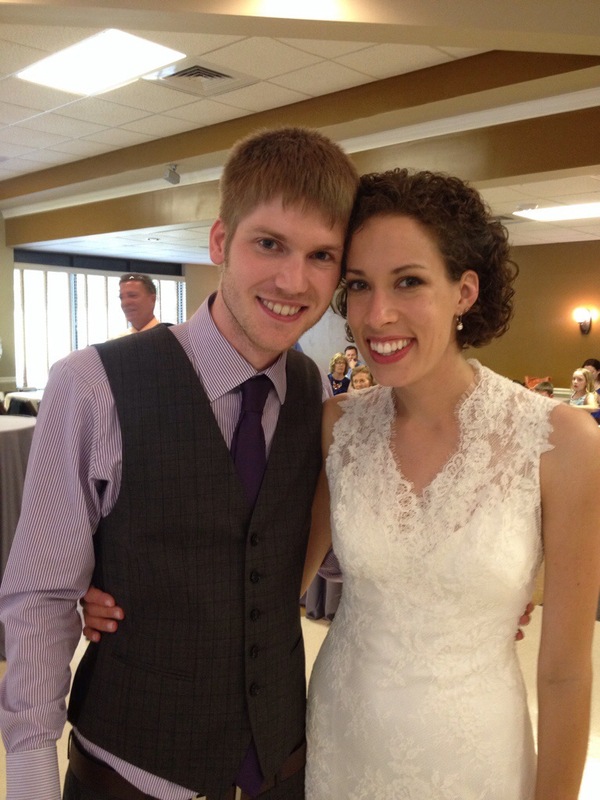 My younger brother, Jeff, got married last weekend! 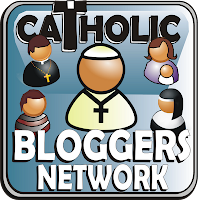 He married someone whom readers of this blog may be familiar with – my very first Dreamer in the Spotlight, Abby! To most everyone’s surprise, she did not make her own wedding cake, but Jeni’s gourmet ice cream was served all afternoon! It was perfect for a hot day! 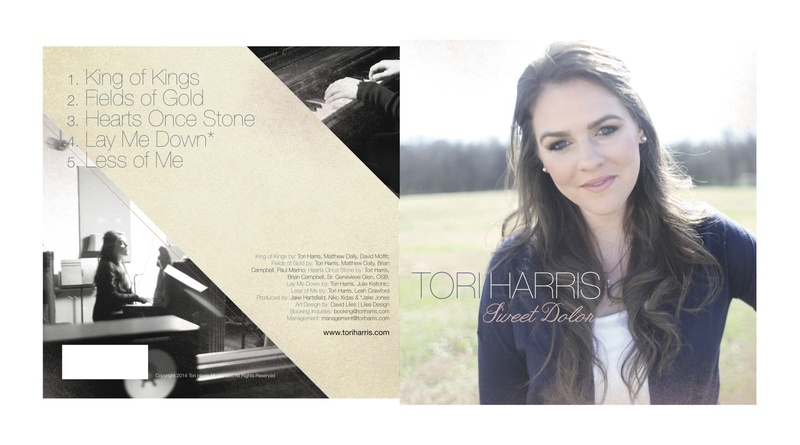 I’ve let my Dreamer in the Spotlight series kind of go by the wayside for the past several months, but another person who I featured last year, Catholic musician Tori Harris, is releasing a new EP this summer. I was fortunate enough to be able to listen to it prior to it’s release this week. I love her sound! Pre-sale copies will be out on iTunes this Sunday! Be sure to check back in the next few weeks for an update post on what Tori’s been doing! It’s CMA Fest again in Nashville this week. Adam is the lead tech at LP Field where all the nightly concerts are being held. He had a little scare with the storm that came through Wednesday night, but the tarps held up and all the gear was dry! Hopefully everything runs smoothly the rest of the weekend! 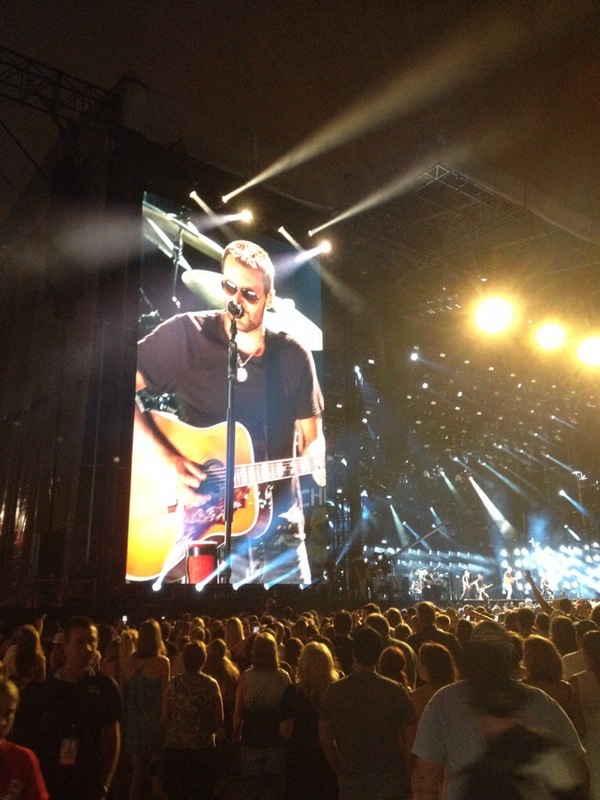 He just sent me this pic of Eric Church’s performance! I guess he crept out from behind backstage. It’s as close as I’m going to get to downtown right now! No thank you, crazy traffic! I’ve been looking at ways to expand my skills and grow career-wise, so I’m kind of interested in pursuing grant writing. There are a couple workshops coming up later this year in Nashville that I’m considering attending. Anybody out there have experience with writing grants? If so, I’d love to hear from you! This weekend, I plan to figure out what project/craft the girls and I will be doing for Adam for Father’s Day. If you have any fun ideas, please share! Last year I posted about 5 free printables. I’m going to go back and check those out or maybe find something different… C said that she’s going to “make the best card that Daddy’s ever seen,” so we probably can’t top that! Maybe I spoke too soon about having seven things to talk about…. It’s getting late and my brain can’t think! TGIF! Have a good weekend everyone! Hello! I'm Stefanie, a former Hoosier who lives in Nashville, TN with my musician husband and our two little girls. I love dreams, good music, and all things inspirational. Go Irish! Faux Granite Countertops with Acrylic Paints? Yup, I Did It!